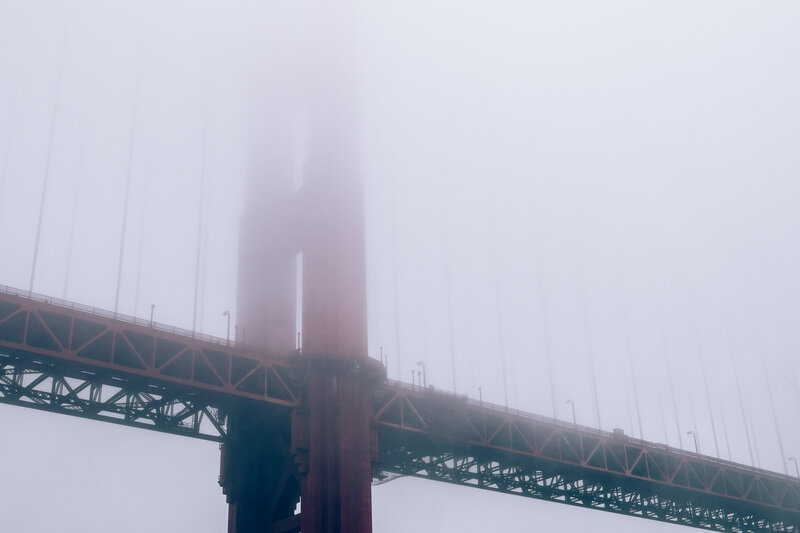 The Golden Gate Bridge rises into a fog bank that’s settled into San Francisco Bay. 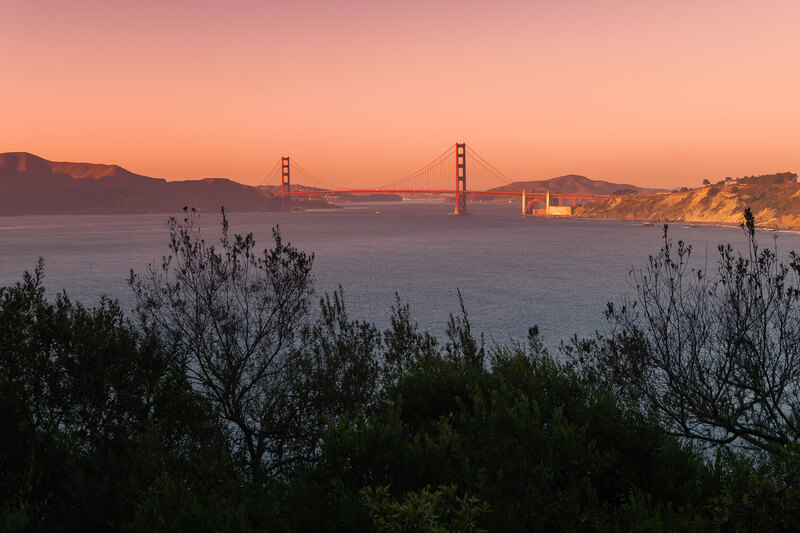 The last light of day illuminates San Francisco’s Golden Gate Bridge. 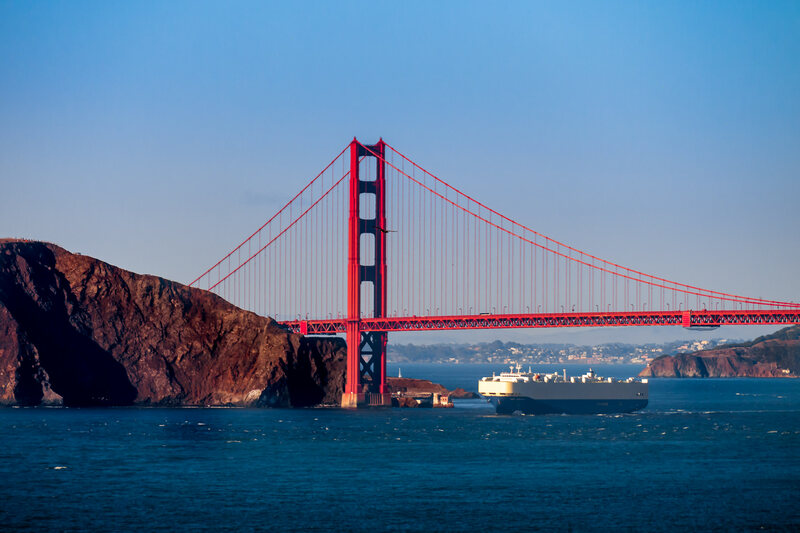 A roll-on/roll-off ship sails underneath the Golden Gate Bridge as it enters San Francisco Bay. 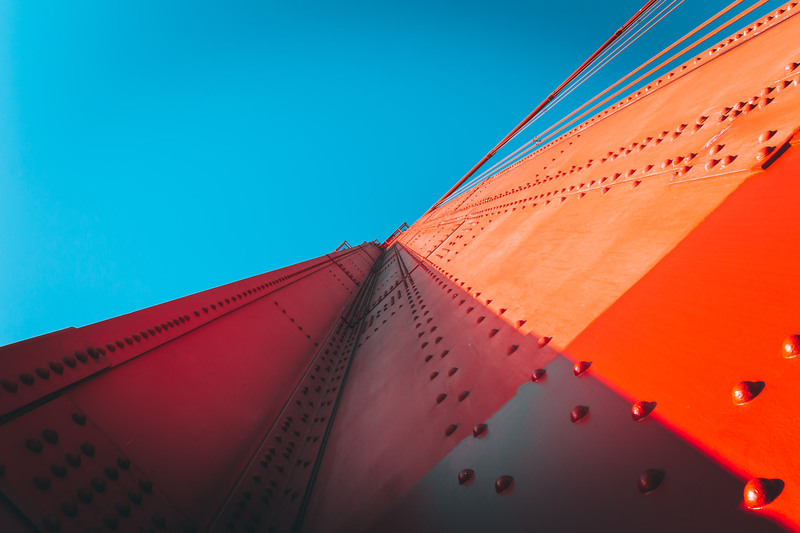 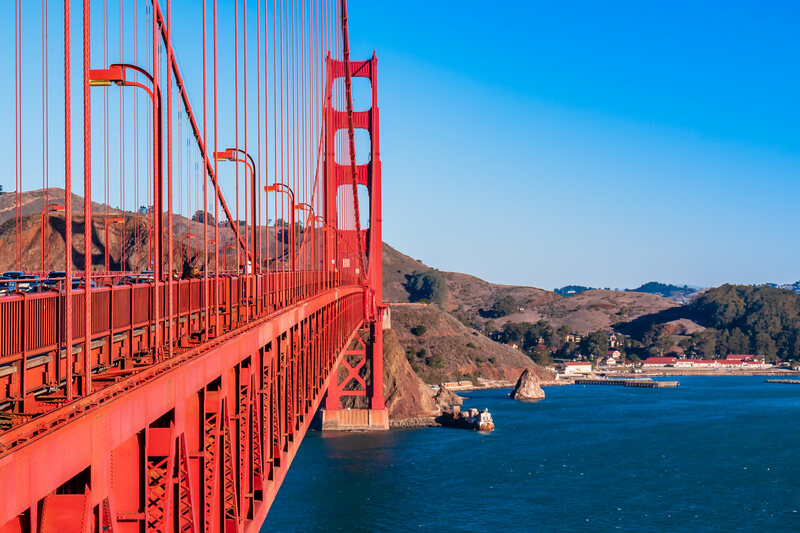 The Golden Gate Bridge stretches across San Francisco Bay towards the Marin Headlands. 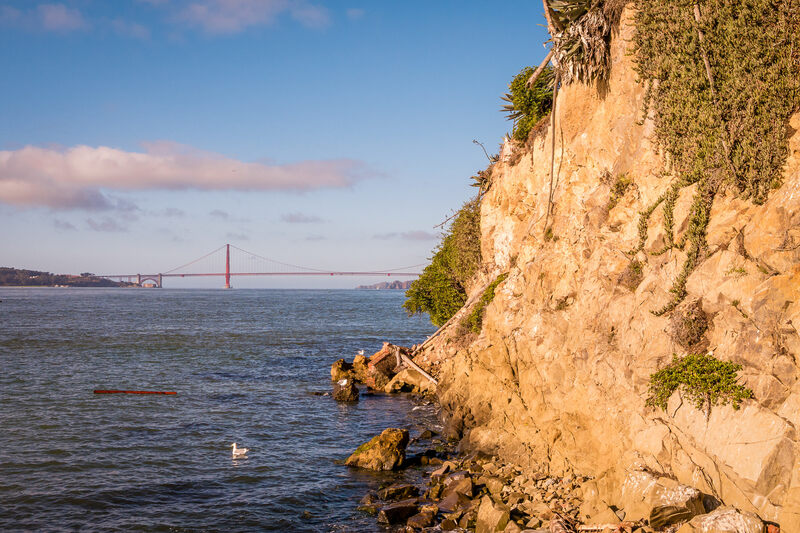 The Golden Gate Bridge, as seen from the rocky base of San Francisco’s Alcatraz Island. 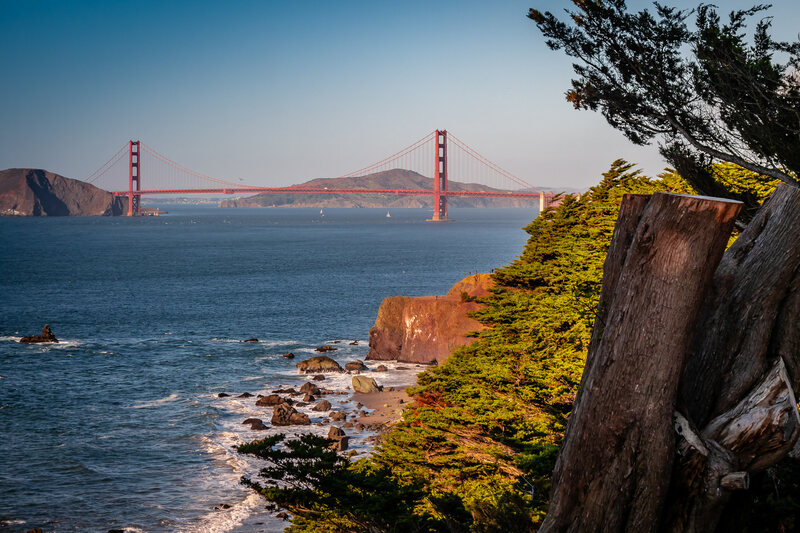 San Francisco’s iconic Golden Gate Bridge, as seen from nearby Sea Cliff. 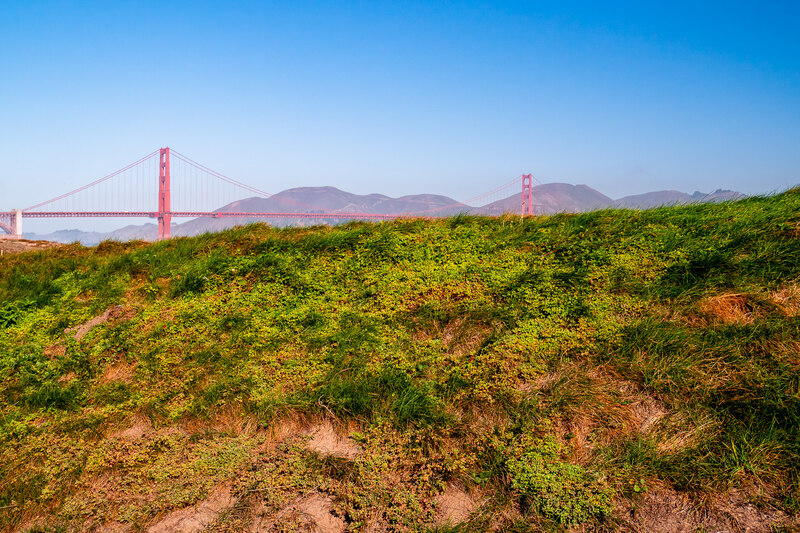 San Francisco’s Golden Gate Bridge peeks over the top of a small hill at Crissy Field. 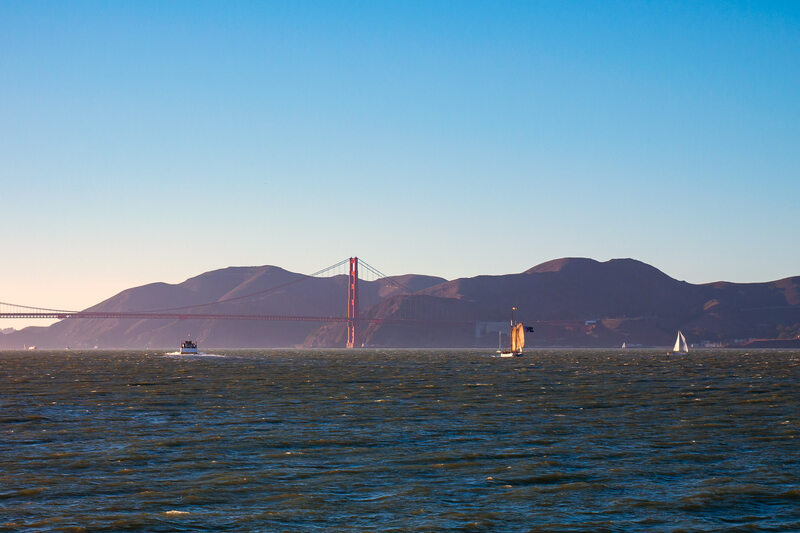 The South tower of San Francisco’s Golden Gate Bridge reaches 746 feet into the cloudless sky of the Bay Area. 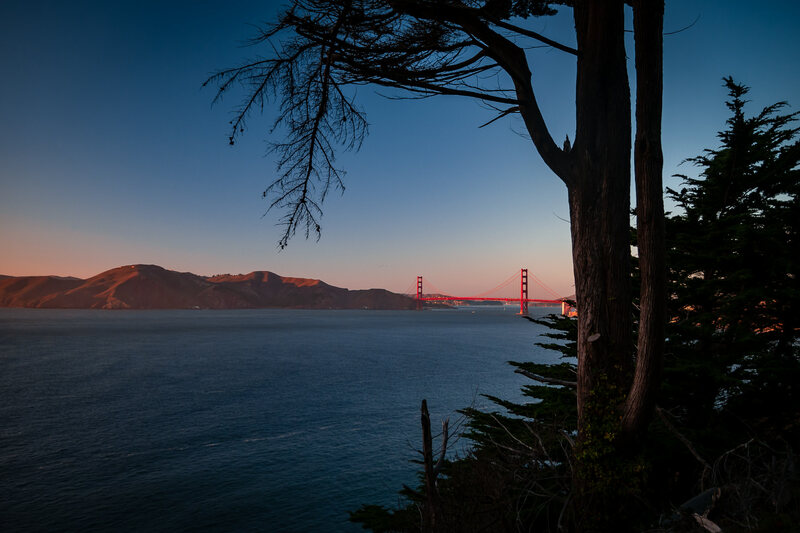 The evening sun lights San Francisco’s Golden Gate Bridge, as seen from the Coastal Trail at Lands End.